With the future of the International Space Station uncertain, the Chinese have announced their own space station program, instead of joining forces with the other space powers. China’s space station will be named “Tiangong” which means “Heavenly Palace” in Mandarin. If constructed it will be similar in design to the Russian space station Mir. 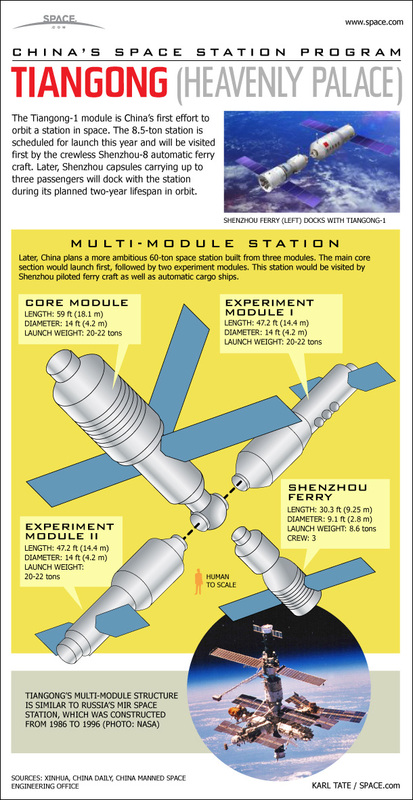 Additionally, Shenzhou capsules are being designed to carry up to three passengers to the space station.